Choose and Personalize - we have a wide variety of glass, marble, wood or acrylic awards. When you are looking to have a customized order placed you will need to contact your CSI Sales Representative. CSI prices include delivery throughout Nebraska. 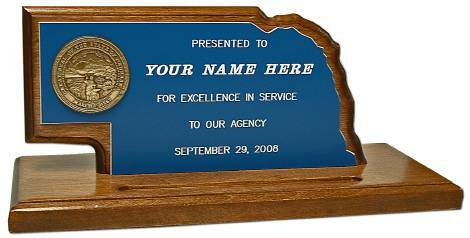 CSI will design and make custom service awards for any State of Nebraska department or agency.